GamerGate is a monster the industry itself created by telling male gamers they’re the center of the universe & catering to their every whim. I agree with Anita Sarkeesian on a lot of things regarding the gaming industry, I’d welcome more diversity and recognise that there is a preponderance for sexist tropes within games, but she can be such a troll sometimes. I think that the following would be more accurate, but it’s not a divisive and likely to cause negative reaction as what she said. GamerGate is a monster born out of some male gamers thinking that they’re the center of the universe and that the industry should be catering exclusively to their every whim. Even that would not be entirely accurate as it is only representative of how those who are anti-gamergate view the movement. Twitter is such a bad medium for these types of discussions as the 140 character limit means that accuracy and subtlety of language is sacrificed in the name of brevity. GTA Online with have a “persistent, continually expanding” environment and peripheral activities for players to participate in, like parachuting off cliffs and arm-wrestling matches. …players will be able to earn money and reputation through the GTA Online universe’s missions. It was going to be a toss up between Grand Theft Auto 5 and Saint’s Row 4, but the poor review of Saint’s Row coupled with this news has probably sealed the deal in favour of GTA. 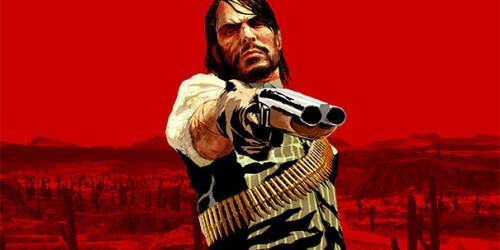 Take-Two (which owns Rockstar Games) CEO Strauss Zelnick whilst discussing business results gave a major hint that a sequel to Red Dead Redemption could be in the works and likely to be released in 2014. Speaking during Take-Two’s Q1 FY14 earnings results last night, Zelnick stated that the publisher’s goal is “to try to create permanent franchises”, before referencing BioShock, Borderlands and Red Dead.